Home | When is the Right Time to Introduce a New Partner to Your Child after Divorce? | When is the Right Time to Introduce a New Partner to Your Child after Divorce? When is the Right Time to Introduce a New Partner to Your Child after Divorce? The nuclear family has slowly given way to blended families, in which divorced parents remarry to create a yours, mine, and ours situation. While this can yield truly positive results, there can be a naturally difficult transition period that starts with the awkwardness, uncertainty, and negative emotions involved in introducing children to a new partner following divorce. What can concerned parents do to ease this transition for their kids? When is the right time to introduce a new partner to children? Here are a few things to think about before you commit to this path. Following divorce, children may find themselves coping with a wide range of emotional issues, from sadness, anger, and resentment, to anxiety and fears about what the future holds. Adding a new partner to the mix can not only intensify these emotions, but also elicit additional feelings of jealousy. It’s important that you validate these feelings and discuss them with your kids so that you can assuage their fears and provide them with emotional support. You can’t let your children manipulate you into putting your life on hold, but you can take every opportunity to reassure them that you love them and discuss what the future holds. Young children will have initial jealousy any time a new person diverts your attention, but they tend to adapt relatively quickly. For adolescents, the process of adjusting to a new partner and parental figure will almost certainly take longer and there may be lingering feelings of anger and resentment. Children that have gone through a divorce may feel they are on unstable ground – not surprising considering the upset to their established routines. Introducing a new partner (and potential parental figure) can be understandably upsetting, but you can help to pave the way for success by keeping lines of communication open. Start by preparing your kids to meet the new person. Let them know you’re dating and that you’ve become serious about another person. Discuss their feelings, including normal issues like anxiety, fear, jealousy, and so on. Give them information about the new person so they are prepared to meet him/her, and plan fun activities that facilitate the “getting to know you” process. Take your time – there’s no need to rush. Above all, make sure to tell your kids how much you love them and assure them that this new person is not a replacement for the other beloved parent. If at all possible, involve your ex-spouse in the process to reassure and support children. It’s normal for children to initially reject a new partner simply because it is not their other parent. If you’re interested in planning a future with a new partner, you have time to work on these issues – they don’t need to be solved immediately. 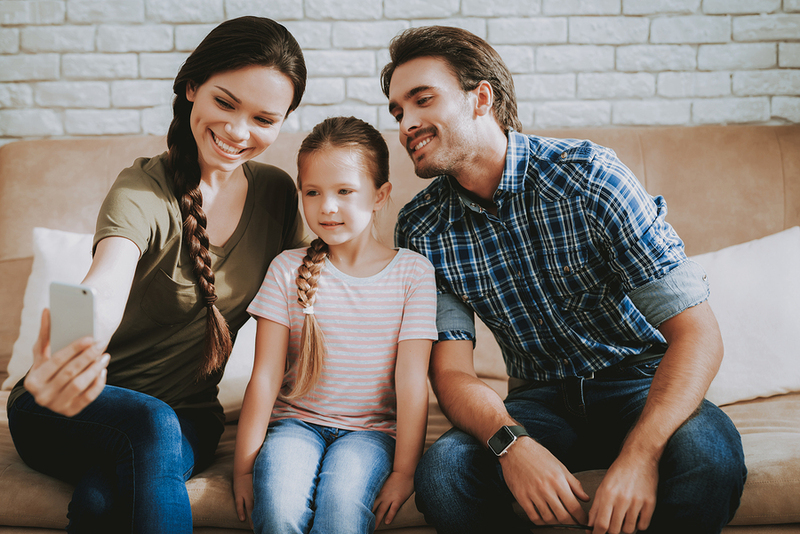 With patience, your new partner can gain the trust and even love of your children, but you need a solid strategy in place, and it may require the professional help of a family counselor. Issues of divorce, child custody, and remarriage can be complex and confusing. Contact the qualified and caring professionals at The Gucciardo Law Firm at 248-723-5190 for guidance and legal support throughout.